Microsoft is now rolling out a new Windows 10 Redstone 2 Mobile build 10.0.14936.1000. We reported that the company is testing new build internally. The latest Redstone 2 PC build 14936 and Mobile build 10.0.14936.1000 is now available to fast ring insiders. 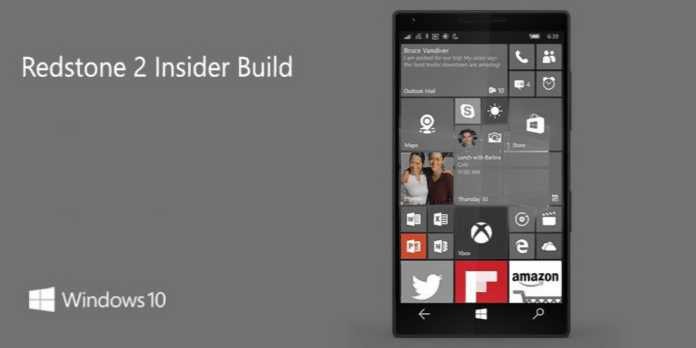 Previously, the company released Windows 10 mobile build 10.0.14926 for fast ring insiders. Fixed the issue causing the pin pad to not be visible to unlock the phone even after rebooting the phone. Fixed the issue where some phones lose the ability to use their SIM cards. Fixed the mobile hotspot issue where it works the first time but subsequent attempts to use the feature won’t work until the phone is rebooted. Fixed an issue causing some devices such as the Lumia 650 from failing to install a new build with Error 0x80188308. Fixed the issue causing some build updates to fail with an 800703ed error code. Fixed the issue where Action Center no longer closes if you swipe up on the empty space (area of Action Center that doesn’t show any notifications). Fixed an issue where notifications were unexpectedly showing the app logo within the notification when viewed in Action Center. Fixed an issue for devices that shipped with Windows Phone 8.1, such as the Lumia 930 and 1520, where if you plugged in a headset during an ongoing call, the audio would not be routed to the headset. If you have your default storage set to a SD card for apps, installation of apps like WhatsApp, Facebook Messenger, and WeChat will fail with an error. As a workaround, set your default location to your device’s onboard storage. Microsoft also released a new Windows 10 1607 cumulative update kb3194496 build 14393.222 for PC and Mobile build 10.0.14393.221 for Release Preview brand and Slow Ring insiders. The company also warned insider members that initial Redstone 2 builds will be more buggy than usual. Microsoft next major updates Redstone 2 and Redstone 3 are coming in 2017.